Spinal Restoration, Inc. is developing a proprietary technology, the Biostat™ Disc Augmentation System, for treating discogenic chronic low back pain. This biologic treatment will offer patients an opportunity for pain relief and disc healing. The procedure, which is called resorbable biologic disc augmentation, involves application of Biostat BIOLOGX™ Fibrin Sealant, a human derived biologic compound, into an internally disrupted disc to occlude the annular fissures and restore a level of mechanical integrity to the annulus fibrosus. Occluding the fissures addresses the chemical pain by preventing leakage of the nucleus pulposus into the outer one-third of the annulus fibrosus or onto the spinal nerve root. With the fissures in the annulus occluded, further degradation of the disc may be avoided, stability within the disc is restored, and healing of the disc may be facilitated. Is resorbable and burns no bridges if additional treatments are required. The Biostat Disc Augmentation System combines Biostat BIOLOGX Fibrin Sealant with a proprietary delivery system specifically designed for this application. The Biostat Disc Augmentation System will be the subject of an FDA regulated clinical trial to prove the safety and efficacy of this new therapy. Patients interested in learning more about the pending FDA regulated clinical trial should review our Frequently Asked Questions. 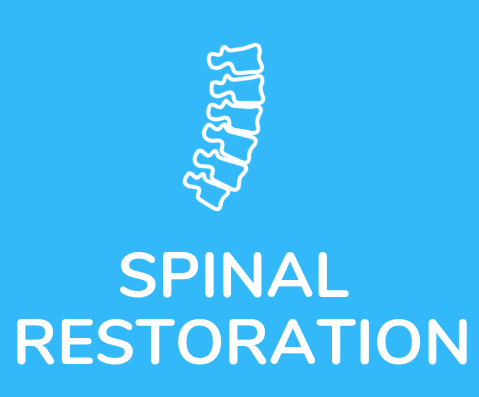 Copyrights © 2018 spinalrestoration.com | All Rights Reserved.